Home Amazon Anjou Makeup Brushes, 24 Pieces – GREAT DEAL! Anjou Makeup Brushes, 24 Pieces – GREAT DEAL! Hurry and get the Anjou Makeup Brushes, 24 Pieces Professional Eye Makeup Cosmetics Brush Set, Eyeliner, Eye Shadow, Eye Brow, Foundation, Powder Liquid Cream Blending Brush, Premium Wooden Handles today for only $6.99 (Regularly $19.99) from Amazon when you use promo code B072P2S87L at checkout! Complement your cosmetics kit and reinvent your look with these Makeup Brushes. This brush set will always help you get the perfect look. A whole set of eye shadow, eyeliner, shading, foundation, and concealer brushes in different sizes and shapes. 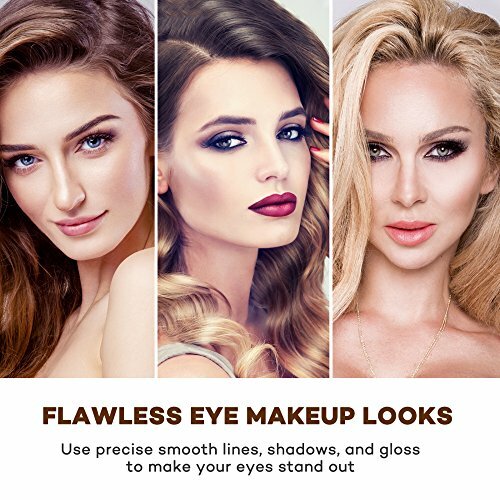 Together they deliver a flawless and precise look. Anjou takes pride in its superior quality. We use environmental friendly toxic-free glue on the bristle and handle for a more durable and stable finish. No shedding, no breaking, and no bad smell. Buy the Anjou Makeup Brushes, 24 Pieces Professional Eye Makeup Cosmetics Brush Set, Eyeliner, Eye Shadow, Eye Brow, Foundation, Powder Liquid Cream Blending Brush, Premium Wooden Handles from Amazon. Previous articleSand-Free Beach Mat! Make Sand, Dirt & Dust disappear!! (It REALLY Works)!! Next articlePepperidge Farm Goldfish Crackers 40 Count!